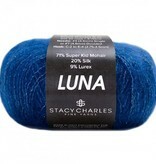 Elegant and dressy is a great way to describe Luna yarn by Tahki Stacy Charles. 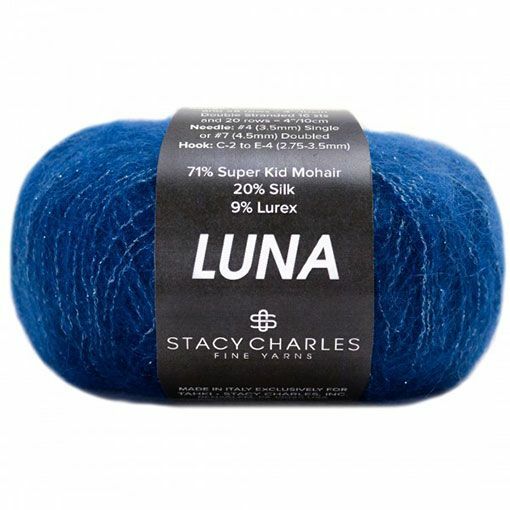 Super kid mohair is blended with silk and then held with a subtle strand of sparkly lurex. This is a wonderful yarn to knit by itself to create a fine and drapey garment or shawl. Please do hand wash so you can maintain the fluffy halo that goes with the yarn.